We Report to a Higher Authority.....Our Customers! Wildcat can manufacture: Turret ~ Bifurcated ~ Stand-off ~ Double Ended Solder Terminals, Teflon Terminals, Receptacles, and Printed Circuit Pins. Wildcat is a value added reseller of: DIP/SIP Sockets, Wire Wrap Sockets, PLCC Sockets, SMT Receptacle Sockets, PGA Sockets, SOIC to DIP, DIP to SOIC and PLCC to PGA Socket Adapters as well as custom terminals and connectors. We have the engineering expertise to handle requests for custom parts. Call us at (978) 649-4316. At Wildcat Electronics we pride ourselves in providing high quality electronic interconnection products at reasonable prices. Wildcat Electronics is now SBA, and WBENC Certified. 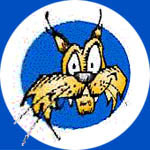 For our customers in the Defense Industry Wildcat is registered on Pro-Net. Our DUNS number is 14-651-2020 and our Cage Code is 1QEN7. We can supply products to a wide variety of Military Specifications. Thank you for your interest in Wildcat Electronics. Copyright © 2005 Wildcat Electronics, Inc.